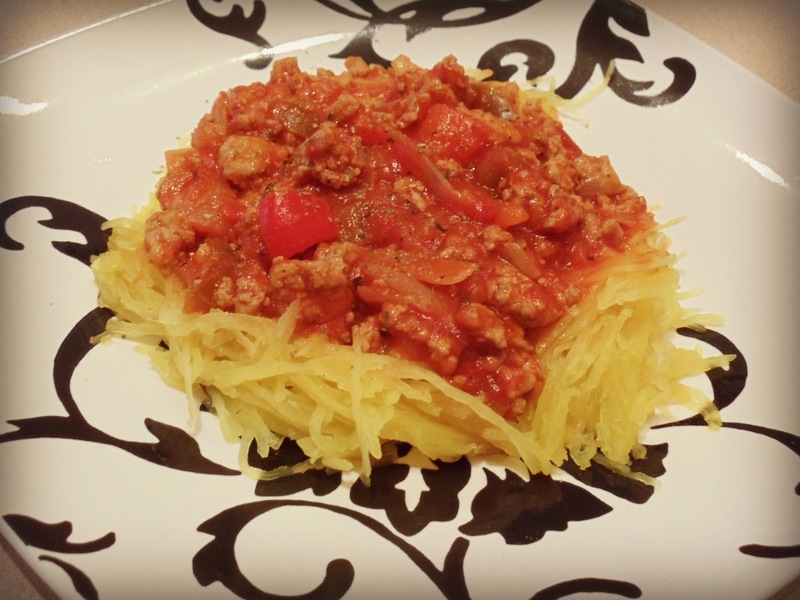 Here’s another Paleo practice meal, this time with ground turkey and spaghetti squash. Think you’ll miss pasta too much if you go Paleo? 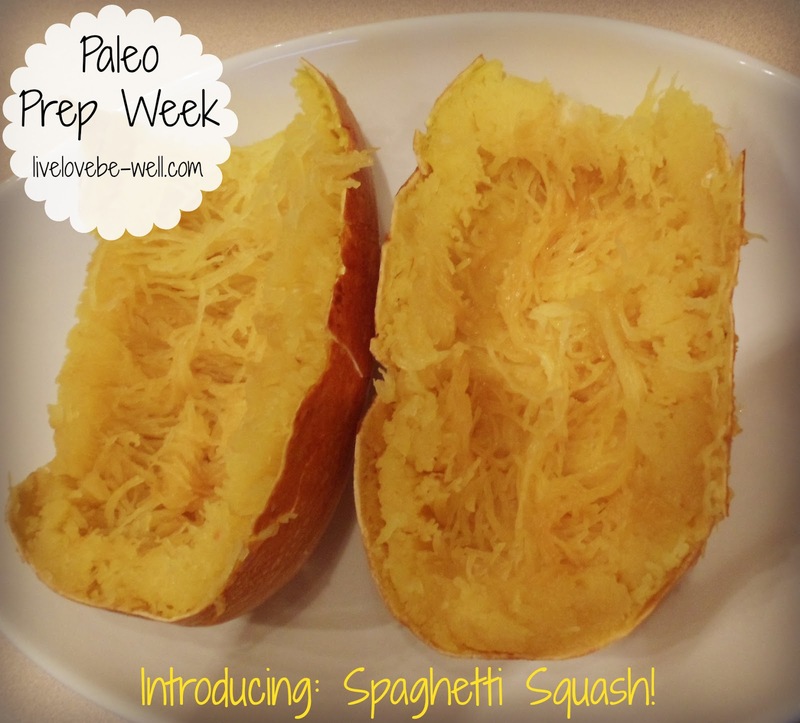 If you’ve never tried spaghetti squash, now is the time! This handy squash is easy to cook and gives you long thin strands just like spaghetti. What else is so great about spaghetti squash? Not only does it cut down on your calories if you swap it out for pasta, but it’s also super versatile. Use it in Italian dishes, Asian noodle dishes, and even in place of potatoes! We used ground turkey in this since I was a little burned out on beef and pork for the week. Carefully puncture the spaghetti squash several times with a small knife or skewer and place in a shallow baking dish. Cook at 375ºF for an hour and 20 minutes, turning the squash over halfway through. The skin should be tender when pierced with a knife. When it’s cooled down, slice the squash in half lengthwise and scoop out the seeds. You can then use a fork to scoop out the strands of squash. Serve on a plate and top with spaghetti meat sauce. I am totally and completely obsessed with spaghetti squash! Thanks for sharing on A Humble Bumble's Healthy Tuesday Blog Hop! Me too! And I've only had it a few times. I'm going to try and find more recipes because I had leftovers for days! I would think it'd be okay for all diets since it's so low in calories. Good luck and thanks for stopping by!